Communications in virtual team environments can sometimes feel like navigating a minefield with an out of date map, you know where many of the issues lie but there is always a small doubt somewhere in your mind that an unknown trap is about to ensnare you. So too is the challenge of email use in virtual teams, most of the time things are fine then suddenly something will explode in your face and leave you feeling scared and unsure of where to head next. As teams become more dispersed, and particularly as they are separated by increasingly large timezone differences, the need to use asynchronous, written communication over verbal, synchronous communications increases the reliance on email. 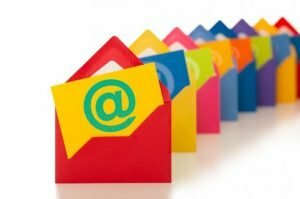 The increased email use pushes individuals and teams to become more concise in their communications, in turn removing many of the pleasantries and verbal checks and balances we all take for granted when communicating verbally or face to face. Without these checks and balances, team communications will inevitably become more technically focussed. Without the human personality in the communications, building and maintaining a trusting environment becomes harder and relationships become more transactional rather than collaborative. The emails turn into a series of instructions, demands and responses, where a verbal equivalent would comprise requests and answers, with personal discussion and input in between. Additionally, once a high reliance on email begins, it is easy to become over loaded with email. The 50 to 100 new emails that greet a virtual team member on a morning can seem like an unending list of tasks, without any real priority or pleasantry. As such, the recipient will do their best to respond to as many as possible, but will inevitably start to slip behind, leaving some virtual colleagues wondering where their response is and whether their virtual colleague is there at all. Uncertainty in email correspondence can result in repeat emails, increasing terseness in correspondence and attempts to escalate the question to a superior, or attempts to circumnavigate the original recipient by asking the same question of colleagues, thus duplicating the work and spreading the potential distrust. In parallel to the challenges of dealing with increased email use comes the difficulties associated with email overload. Someone overloaded with email will typically start to triage their correspondence, dealing with those that seem most important first and continuing until they runout of time. Those left over will remain until the next day and so forth. The backlog will progressively accumulate until their email inboxes start to become completely unmanageable, with hundreds or even thousands of unread emails, each representing a potential unanswered request. This email overload then stops corresponding individuals from following the normal civilities such as acknowledging assistance, it is simply too time consuming to write an email to thank someone for their help, so the help goes un acknowledged and another opportunity to build and maintain trust is sadly lost. Wherever possible communicate verbally and follow up with email where needed. Only copy people who absolutely need to know or be part of the conversation. Ideally include everyone in the “to” line rather than some in the “cc” line, many people will filter “cc” emails and only deal with them when they have free time. Be explicit in your requests, give context and a realistic response time, this allows the recipient to prioritise work and get back to you in a timeframe that suits everyone. Acknowledge requests wherever possible, just a “got it, I’ll get back to you” or similar will let the sender know you received their request. Acknowledge the response when you receive it, a simple “thanks”. even an emoticon smile or similar will let the person who has answered your email know that their work is appreciated. If you feel you need to follow up with the person you emailed, try wherever possible to do so by telephone first, this will let you talk through any issues or concerns without resorting to email where the follow up request can get distorted. If your priorities change, let everyone you have requested information from know, this respects their time and allows them to change their priorities to help you out if needed. Above all else, respect your virtual team colleagues, email use is more challenging than many acknowledge, everyone will struggle at times to keep up but most people will help where they can. As with every aspect of virtual team working, corresponding and email use in particular can be more challenging than working face to face, but used correctly email can help to maintain a good, trusting working relationship. If you wish to keep up to date with future articles, please feel free to subscribe to our regular newsletter by entering your details below.